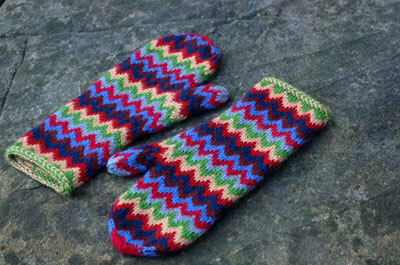 I ordered my mitten kit yesterday. Thanks for the tip on adding the different colors – I love that idea. And yes, Milk was fantastic! adrian, i love them! coolest mittens i’ve seen in awhile. 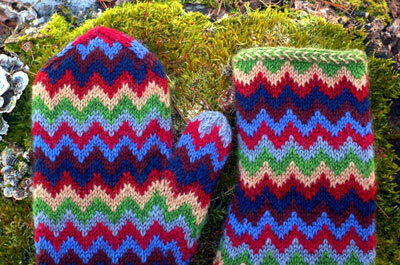 these mittens really are so awesome! and I also lurve cleaned up Sawyer, for reals. Those are SO cute!!!!! Great color combo too! That yarn rope is brilliant. I’m so happy to hear that you can’t feel it, and I can’t wait to try it for myself. Those mittens are so happy!! I love them. Just watched ‘The Times of Harvey Milk’ and then ‘Milk’ last night (I hardly ever make it to the cinema)….and yes they were both jolly good….still haven’t tried the tilt shift yet but it’s on my list of photography techniques to try! Oh…. 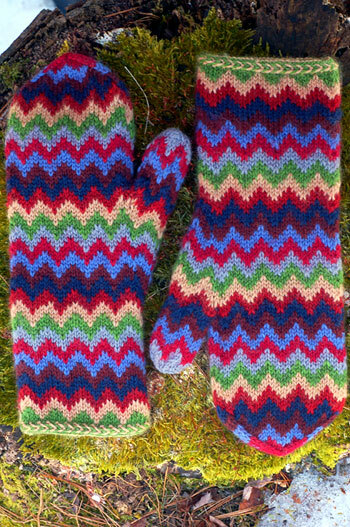 and truly fabby mittens too! absolutely gorgeous! – great colors! Very, very nice mittens!!! Good work! Oh – I hope she restocks the kits – I want “Tulip Garden”!! Your yarn rope idea is great. I’ve been admiring those mittens on ravelry and have been wondering about all the ends. Yours turned out beautifully and thanks for the detailed tips. Sandwiches and Sawyer? I love you, Adrian. So, so lovely! I love the braided trim, especially. I don’t comment on your blog (I love it and your beautiful yarn/dogs/knitting), but I had to when I saw James LaFleur. I have always liked Kate, but I’m going to cut her head off if she gets between Sawyer and Juliet. Also, last night? I screamed like a banshee in shock. Great knitting, by the way. Love the mittens! The colors are fab. Thanks for showing the inside too. I’ve been struggling a little with some striped mittens I’m making. 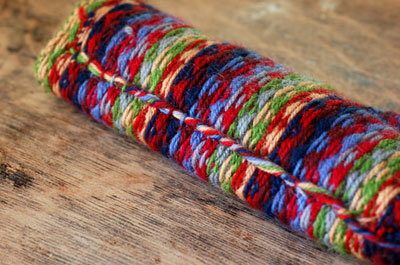 I hate weaving in a million ends! I loved Milk. I did see it in the theaters, and even knowing what was going to happen did not prepare me. you are so fast! and i love them, of course. those chevron mittens are the bomb. Golly, you must be a patient person. Love the colors! Thanks for the twitter link love.